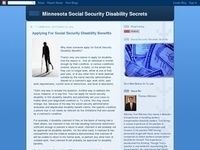 Blog provides valuable information on disability topics such as, Social Security Disability benefits.. and Special Needs Trusts. 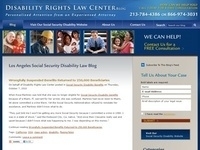 Based in Los Angeles, California, Disability Rights Law handles all types of cases related to social.. security disability and SSI. SanStorm's Press, gives information in different Sports, Finance, and tackle various disability.. issues and create awareness among the society. 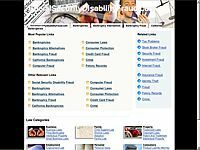 informative Articles on these various topics. Showing the world that my physical disability has little to do with my ability to raise a great kid! 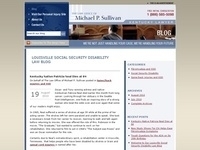 From Louisville, Kentucky, The Law Office of Michael P. Sullivan gives legal advice in the area of.. social security disability. Free consultation from our experienced social security attorneys to file a #social security claim.. and lawsuit for your damages.